Obama wants 1.6 trillion dollars in new revenue to avoid going over the “fiscal cliff”. Fantastic idea, Barry. You want to raise money to take care of the debt you and your predecessors created? No problem. So when’s the bake sale? Or how about a car wash fundraiser? You and Pelosi out on the White House lawn in your bathing suits washing cars. You’ll only have to wash like 300 billion or so to raise the 1.6 trillion you need. Oh. That’s right. I keep forgetting when the government talks about “raising revenue” it really means “forcibly appropriating funds from the American people”. I always make the mistake of carrying around this selfish attitude that my paycheck is actually my paycheck. Then I remember it’s actually just the weekly allowance the State has generously allotted me. After all, I have to “pitch in” my “fair share”? Speaking of fair, is a 16 trillion dollar debt “fair”? Is the fact that my generation was already bankrupted by thieves before we were old enough to walk “fair”? Is it “fair” to force me to foot the bill for decades worth of foolishness I had no part in? Is it “fair” to take thousands of dollars from me every year while I struggle to support my family and give it to people who didn’t earn it? We must have different dictionaries. But here’s the lesson for conservatives and libertarians who are earnestly attempting to fight against Socialism, tax increases and Statism: stop making economic infeasibility your central argument. I can’t even type the phrase “economic infeasibility” without drifting off and falling asleep. While the Statists appeal to some bizarre pseudo-morality and toss around words like “fairness”, the other side responds by quoting the Theory of Money and Credit by Ludwig von Mises. Now I love me some Mises and some Rothbard and some sweet, sweet Austrian School of Economics, but we aren’t going to win the debate by throwing calculators at people. Yes our Socialist policies are driving up the debt and killing jobs and destroying industry and poisoning the free market. Yes that’s a problem. A big problem. But here’s the biggest problem: if I’m living on government handouts, or have the option to live on government handouts, what the hell do I care about the debt and industry and the economy? The conventional wisdom is to “just talk about jobs” and as usual the conventional wisdom is a lot more conventional than it is wise. The president was elected despite the unemployment rate because unemployment doesn’t matter to someone who still has their food and their phones and their rent and their amenities paid for by Daddy government. That’s why it might be time to start introducing the “L” word into our economic discussions. And I don’t mean “Liquidity” or “Labor force” or “Laissez-faire”, I mean “Liberty”. The biggest problem with Socialism isn’t that it’s financially impractical, it’s that it takes away our freedom. What if I told you we could actually live in a Socialist paradise where Uncle Sam controls 100 percent of the economy and everyone can live relatively comfortably? Sure, there would have to be a one child policy, but most of us impose that on ourselves willingly already. And, yeah, you can’t live in a 5 bedroom house and own four cars, but most of us never will anyway. Yes, you won’t be able to be rich, but you also won’t be poor. We’ll all live in the glorious middle. And you can have as many TVs as you want. That’s actually encouraged. What if this were possible? Would you accept this scenario? Why not? Because you wouldn’t be free, that’s why. That’s the only reason that matters. We have to fight against Statist economic policies based on liberty not finances. 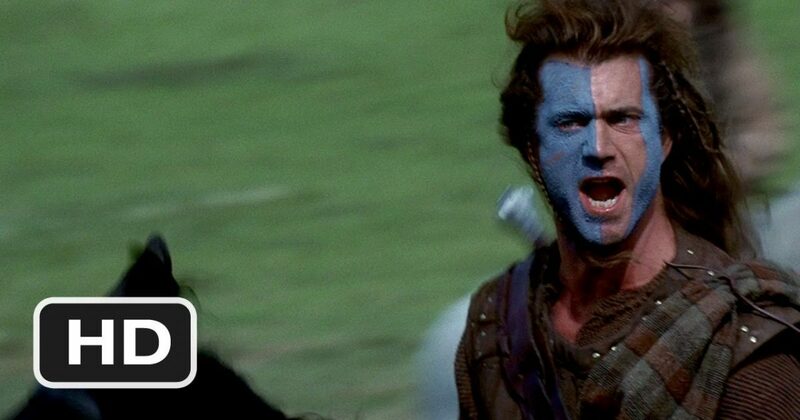 We need to be more like William Wallace riding our horses into battle shouting “FREEDOM” and less like an accountant with our spectacles on pouring over balance sheets. That’s why I believe in free markets and small government. That’s why I hate big spending and the welfare state. Because I want to be free, not because I want to be rich. I mean I’d like to be rich also, don’t get me wrong. But more than that I want to be free. Nothing will ever improve until everyone else shares that attitude.